There is nothing like making a loaf of fresh bread from scratch. And believe it or not it doesn’t take as much time as you think. And unlike any quick breads, bread made with yeast is much more satisfying. It can be time consuming while you first learn the ins and the outs. 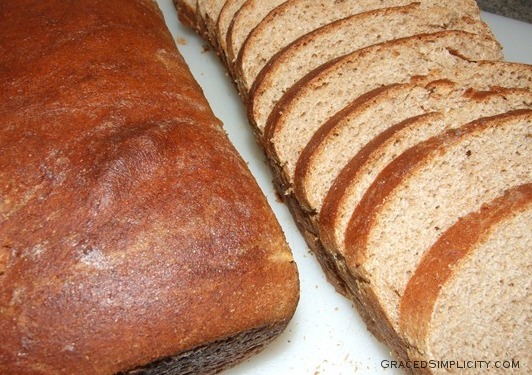 *But, once you discover the tricks of the trade…you’ll love bread making! 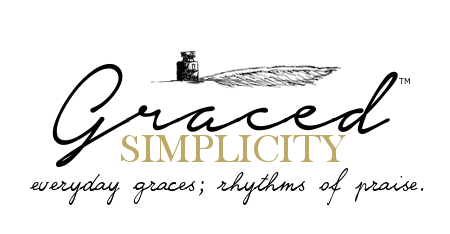 There is nothing as exhilarating while you shape your loaf with your bare hands or smelling the “home like” fragrance billowing from the oven while your bread is baking – it’s divine – or more like heavenly divine! And of course, biting into a piece of warm bread with butter melted on it, along with your favorite jam or preserves lathered all over it – isn’t too bad either. Hungry yet?! You’re very welcome! 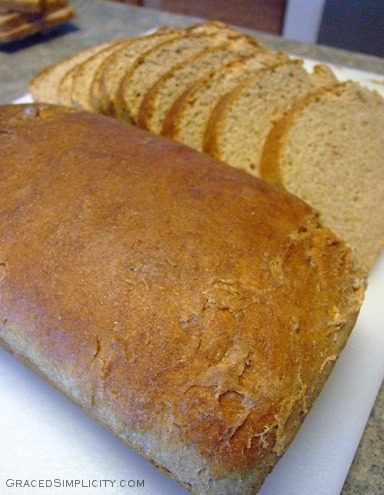 I have many bread recipes that our family adores. 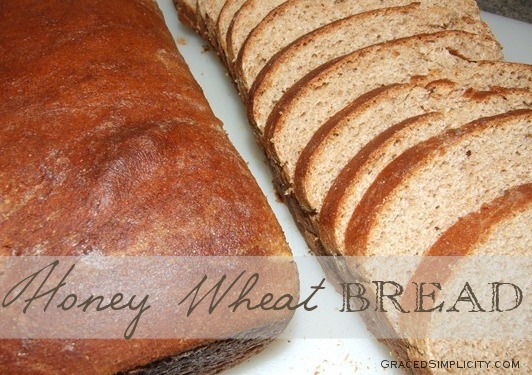 This Honey Wheat Bread is just one of the many! In a bowl, combine 2 cups all-purpose flour, 2 cups whole wheat flour and yeast. In a saucepan, heat milk, water, honey, butter and salt to 120-130; add to flour mixture. Blend on low speed until moistened; beat on medium for 3 minutes. Gradually stir in remaining whole wheat flour and enough of the remaining all-purpose flour to form a soft dough. Punch dough down. Shape into two loaves; place in a greased 8-in. x 4-in. loaf pans. Cover and let rise until doubled, about 1 hour. Bake at 375 for 40-45 minutes. Remove from pans to cool on wire racks.